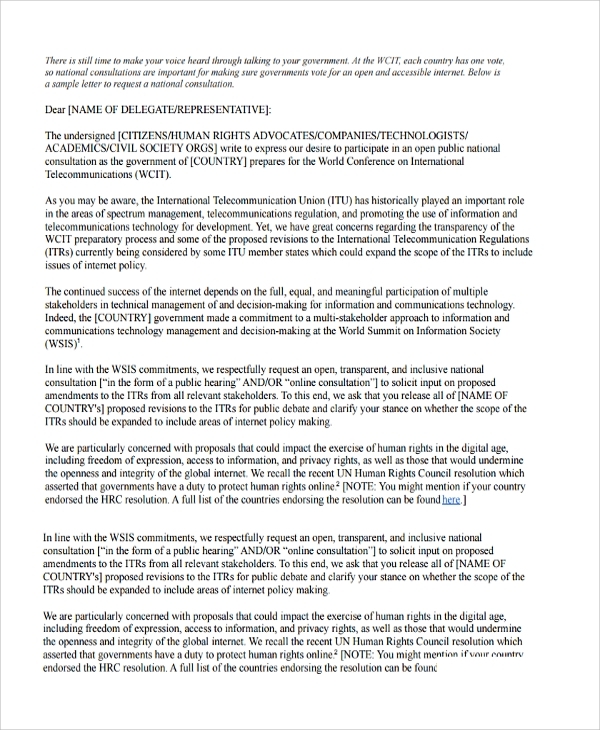 This letter of delegation is applicable for businesses. 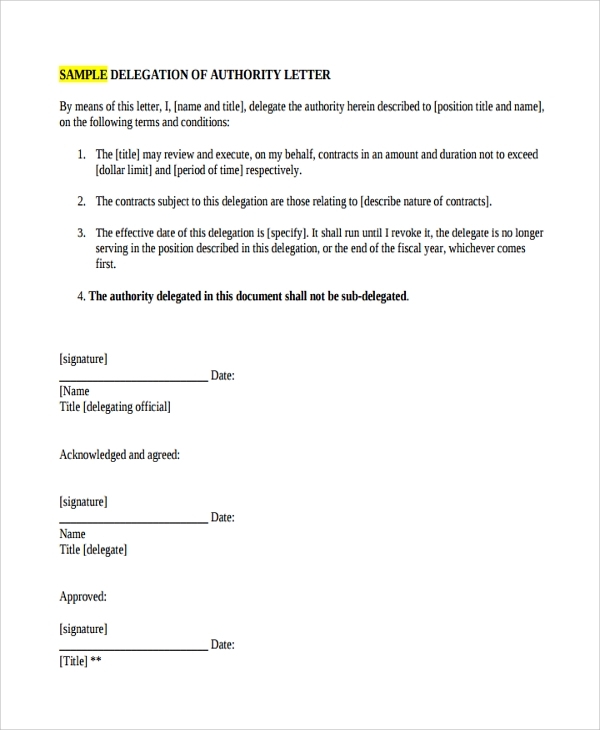 It contains the written procedures, statement of conditions, and the terms that the delegate should follow in performing the assigned task. 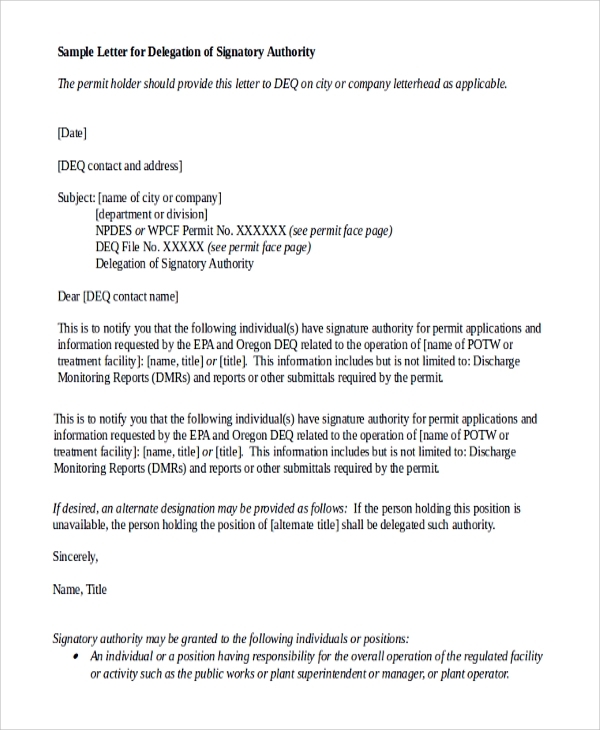 This is to verify that an assigned delegate has the responsibility and authority to act as what the position being assigned to him/her.You may also see denial letters. 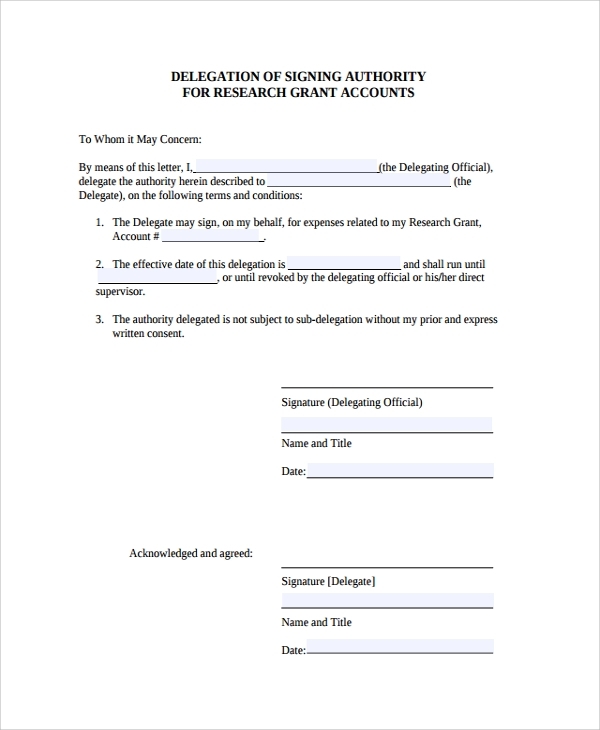 Signing the authority letter involves the delegating official and the appointed delegate. 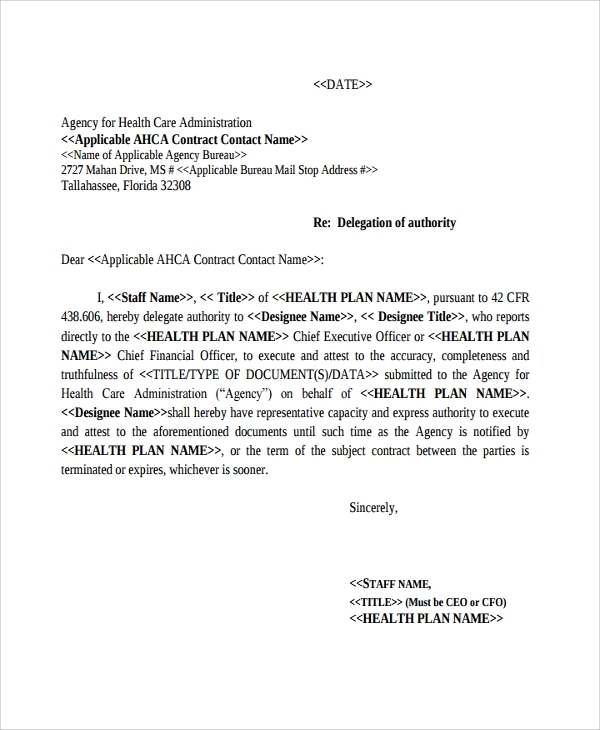 The letter covers about the delegating official to assign an authorized representative to sign documents on behalf of the company. 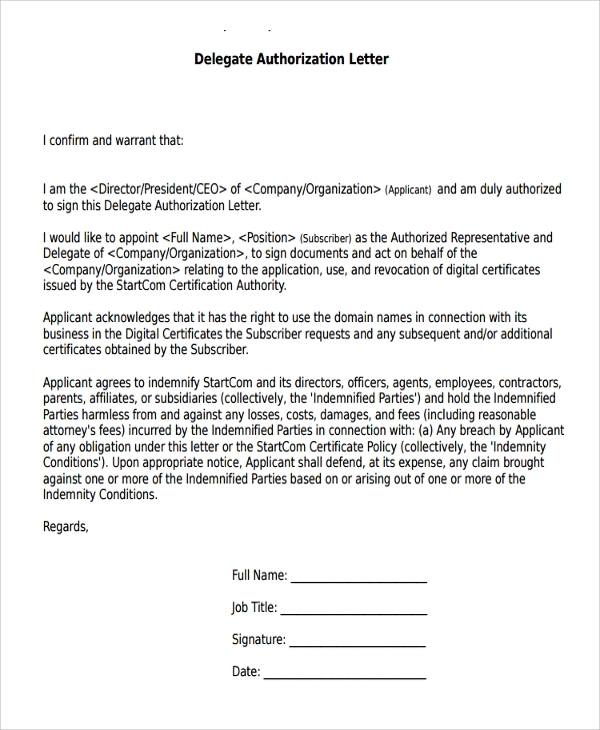 The letter mentioned about the applicant being acknowledged to have the right of using the company name in line with business matters. 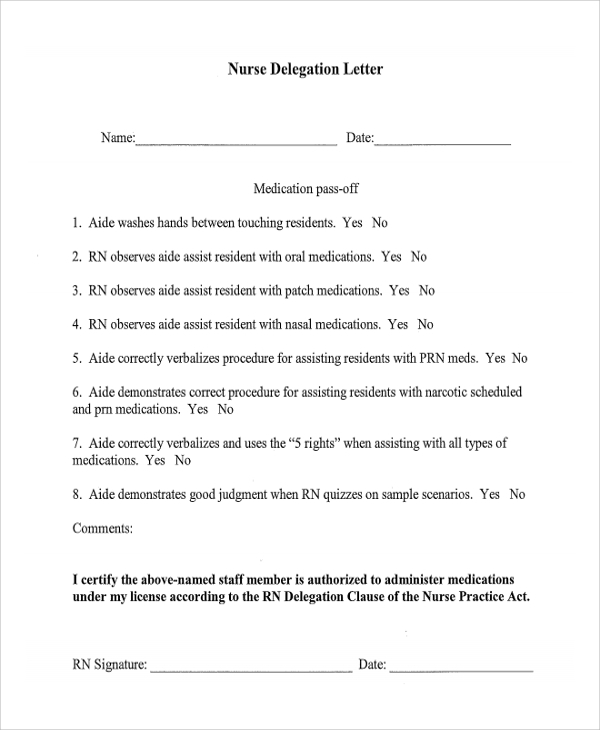 This will be signed with the full name, job title, signature and the date.You may also see assignment letters. 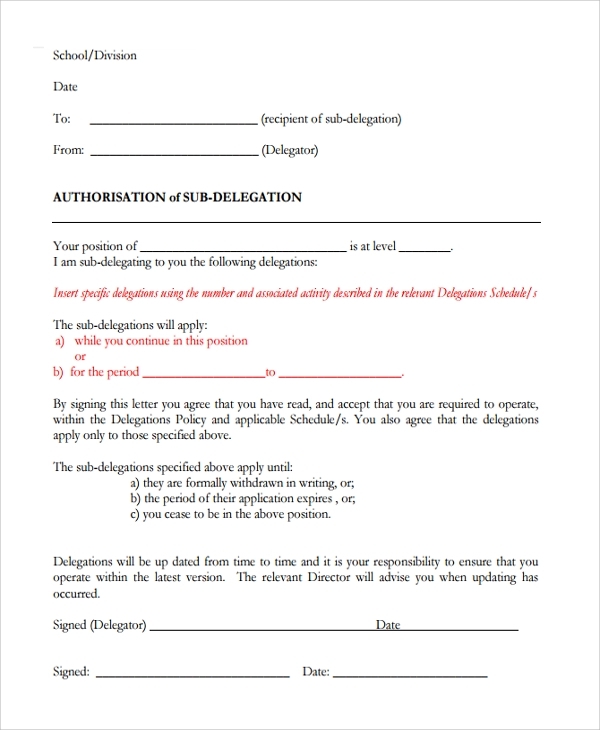 When do I need Delegation Letters Template? The template is available and accessible. 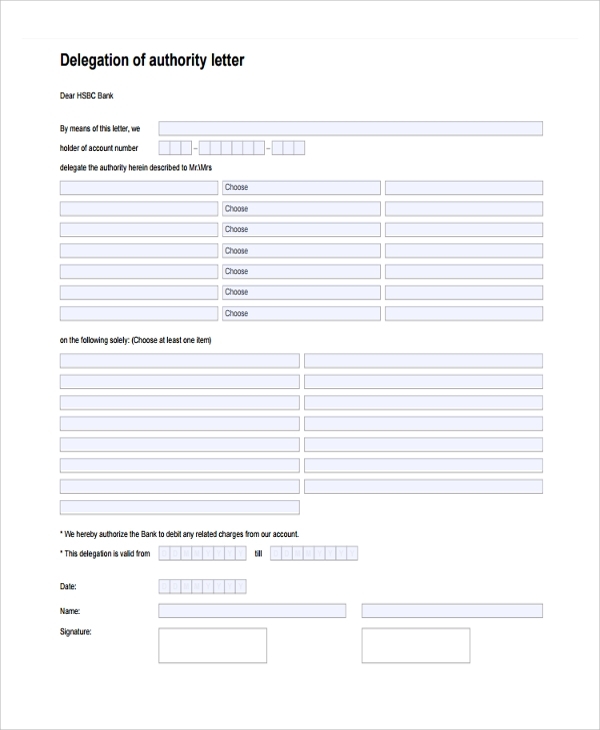 It is offered downloadable and printed ready. 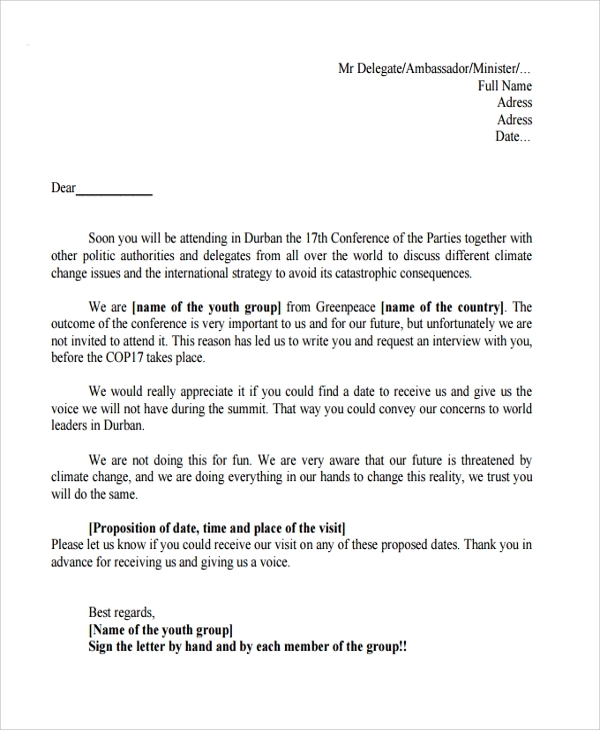 Users can make use of this letter of delegation for business.You may also see company policy samples.